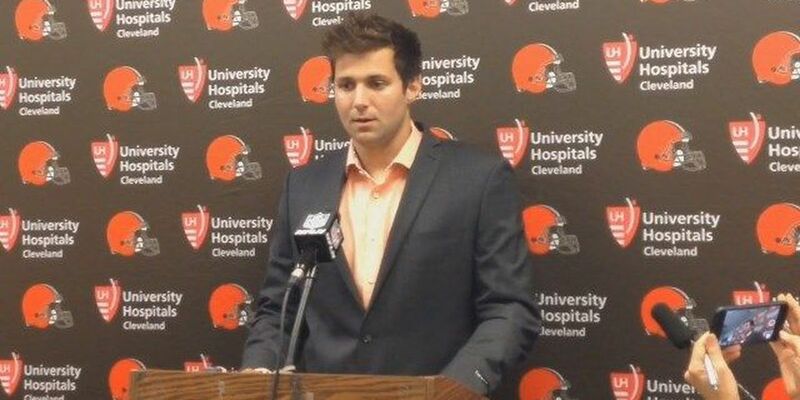 DOWNTOWN CLEVELAND, OH (WOIO) - This week's Tim Misny "Player that makes them Pay" is Browns QB Cody Kessler, who completed 26 of 41 passes last week for 336 yards and 2 TDs. It was Kessler's first career 300-yard passing game and first multiple-TD performance. The 336 pass yards against Tennessee were the second-most by any Browns rookie. In four starts this season, Kessler is completing 65.6 percent of his passes, with four TD passes and just one interception. He's been sacked 10 times in those 4 games.